Vaido (Võrumaa, Estonia) on 28 January 2016 in Architecture. 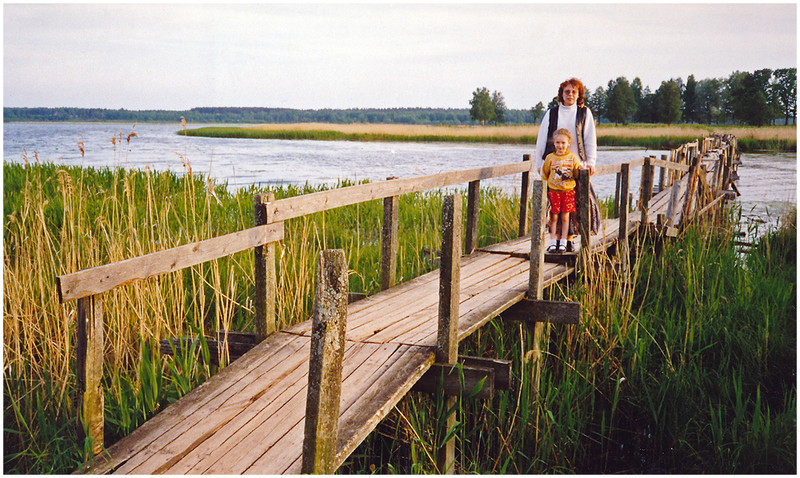 This was the bridge connecting my hometown Võru with peninsula called Roosisaar (Rose Island) during many years. The photo is taken on May 1998, just before the construction of new bridge was started. The photo of the new bridge will be in tomorrow's post. See sild ühendas palju aastaid Võru linna Roosisaare poolsaarega. Pilt on tehtud 1998. aasta maikuus, veidi enne uue silla ehituse algust. Uue silla pilt on juba homses postituses. a charming old wooden bridge, and - what's more - two happy people! hope the new bridge fits into the scenery as well as the old one! A fine old bridge that seems to be getting a little rickety. Great capture of what now can be called history.